Sweep up lashes for maximum coverage, lift & curl to take you from beach to bar. Our innovative brush evokes the ripples of a wave designed with a subtle dip in the straight brush to sweep up lashes for instant length and volume. 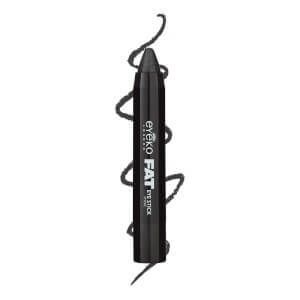 Densely packed, soft bristles coat every lash for a clump-free, volumised flutter that lasts all day. Formulated with sunscreen, coconut oil and waterproof pigments to ensure colour won’t run or fade. Black. Created in London. Made in Korea. Isododecane, Trimethylsiloxysilicate, Mica (CI 77019), Ceresin, Disteardimonium Hectorite, Dextrin Palmitate/Ethylhexanoate, Microcrystalline Wax, Iron Oxides (CI 77499), Polypropylsilsesquioxane, Propylene Carbonate, Hydrogenated Polyisobutene, Aluminum Distearate, Cellulose, Polymethylsilsesquioxane, Glyceryl Caprylate, Triethoxycaprylylsilane, Silica, 1,2-Hexanediol, Cocos Nucifera (Coconut) Oil, Ethylhexyl Methoxycinnamate, Water, Butylene Glycol, Phenoxyethanol, Aristotelia Chilensis Fruit Extract, Euterpe Oleracea Fruit Extract, Fragaria Chiloensis (Strawberry) Fruit Extract, Lycium Chinense Fruit Extract, Morus Nigra Fruit Extract, Ribes Nigrum (Black Currant) Fruit Extract, Rubus Coreanus Fruit Extract, Rubus Fruticosus (Blackberry) Fruit Extract, Rubus Idaeus (Raspberry) Fruit Extract, Vaccinium Angustifolium (Blueberry) Fruit Extract, Vaccinium Macrocarpon (Cranberry) Fruit Extract, Vaccinium Myrtillus Fruit Extract, Ethylhexylglycerin. This mascara does not disappoint in the waterproof department. Swimming in the sea or pool, sweating on the beach, having a shower and hairwash and even weeping at a friend's funeral - this stuff does not budge. Having researched this in great detail, it does very much seem that in order to get fully waterproof mascara, you must settle for reasonably black and voluminous lashes, instead of jet black, serious false lash effect ones. (This may not be true of designer brands who still test on animals but cruelty-free make-up is very important to me.) If you curl your lashes with a slightly heated curler (give a 2-second blast of your hairdryer onto your metal eyelash curlers and it works wonders) and then use Eyeko Beach Waterproof Mascara, it gives an amazing wide-eyed lash look that is very pretty. You need proper waterproof make-up remover to get this stuff off but I expected that, so don't in any way consider it to be cumbersome. I use the Nivea Eye Make-Up Remover Double Effect and it gets this mascara off just fine. 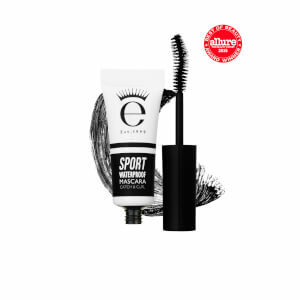 Thank you Eyeko for making a properly waterproof, decent summer mascara that I can wear in 35 degree heat without any thought of it running down my face! This is the best mascara I have purchased for a while. Does not flake, stays put through streaming eyes. The only downside is it takes a bit of effort to remove it. Would definitely recommend.